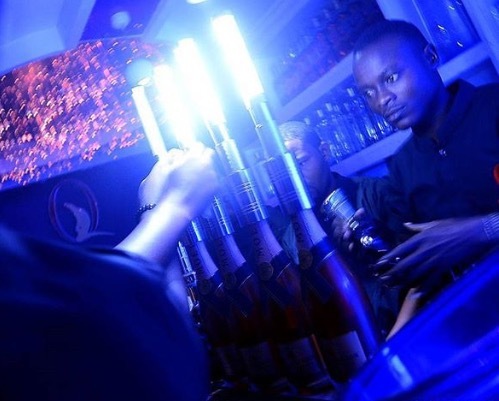 Since the release of the revolutionary LED NITE SPARX™ LED Electronic Sparkler, we have worked hard to continue bringing great revolutionary and alternative Bottle Service products. We launched the official LED STROBE BATON, and now we introduce the new GOLD LED NITESPARX BOTTLE BATON™ Strobe Topper. 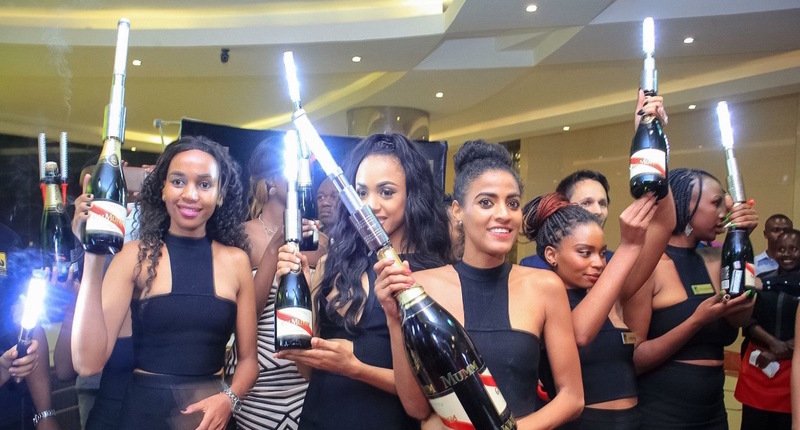 This alternative Bottle Service Flash product is a another LED Bottle service accessory to replace the traditional Flame Champagne BOTTLE SPARKLER. Check out the NEW Video for the LED Strobe Bottle Baton Topper! This product is slick, its bright, Flashy, and it makes a statement, and demands attention at any Venue it is used. and it will avoid Code Enforcement or fire marshall fines. As we have mentioned before since the release of our LED NITE SPARX™. With our GOLD LED BOTTLE BATON you will have NO FLAMES, NO SMOKE, NO RISK!! The newest in Alternative Electronic Bottle Service Delivery Technology! 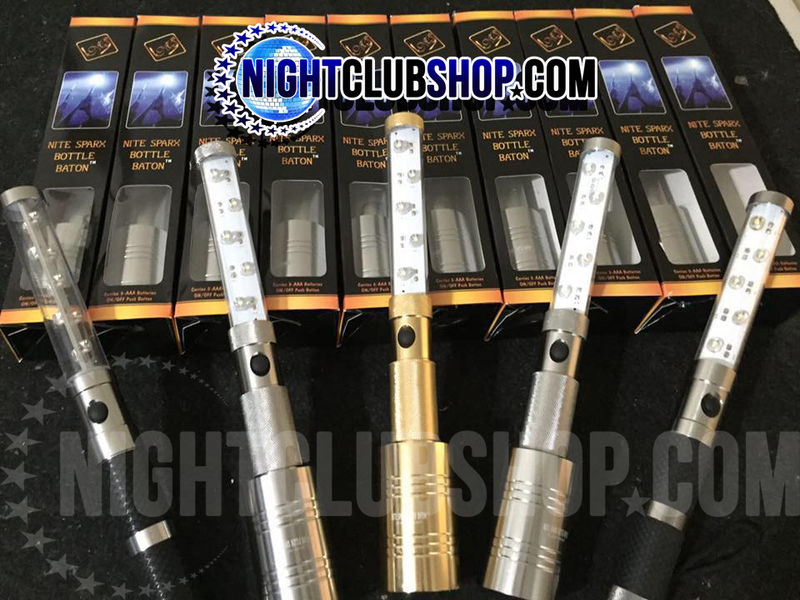 LED NiteSparx LED Bottle Toppers are the Ultimate in Electronic Bottle service Delivery, Order yours today! LED STROBE TOPPER The newest in Alternative LED SPARKLER Champagne Bottle service Delivery Options! Safe, Reliable, Flame-Less, and Fun! LED Strobe Bottle Baton Electronic Sparkler in the Industry! Order yours today, Wholesale, Bulk, and on Sale!